Madrid, November 14, 2017. 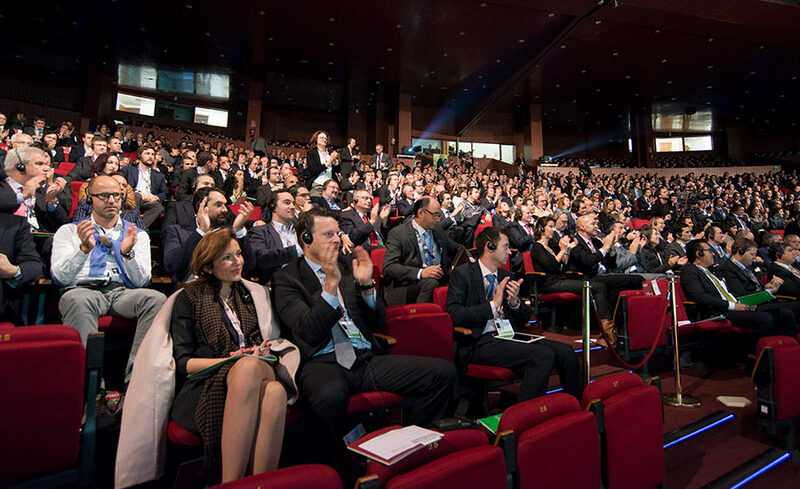 – IESE’s Global Alumni Reunion in Madrid is expected to draw more than 3,000 people to an action-packed three-day event that will give participants an exceptional look at innovation in business – along with the opportunity to network and connect with other alumni. The event, “Play New Rules: Power of Business Innovation”, kicks off on Nov. 16 with visits to innovation leaders including Amazon, Google, Inditex, Omega, Airbus and the Clínica de Navarra. Nov. 17 will be a day of academic sessions at Madrid’s Palacio de Congresos, where speakers will talk about issues related to innovation, cybersecurity, digital impact and automation in the workplace. Among the nearly two dozen speakers will be: Bill McDermott (CEO, SAP); Marta Martínez (president, IBM Spain, Portugal, Greece & Israel); Tom Kelley (partner, IDEO); Helena Herrero (president & CEO, HP Spain & Portugal); Anthony J. Ferrante (senior managing director, FTI Consulting); Pedro Duque(astronaut, European Space Agency); Fuencisla Clemares (president, Google Spain & Portugal); Pilar López (president, Microsoft Spain); Félix Sanz Roldán (Director, Spain’s National Intelligence Center); and Andrew McAfee (co-director, MIT Initiative on the Digital Economy). The reunion will finish on Nov. 18 with a handful of sports events for charity. It will be the 12th time the IESE Global Alumni is held in Madrid. Reflecting the global scope of IESE’s campuses and former students, the reunion rotates between Barcelona, Madrid and a city outside Spain. Previous editions have been held in New York, Sao Paulo and Munich.